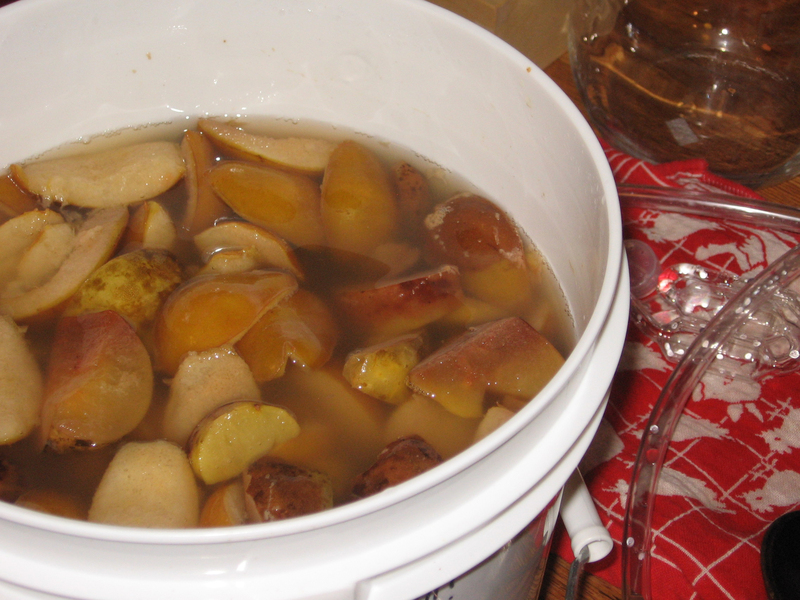 A few months ago I had an excess of pears and apples, and an interest in making mead. My friend Brenda makes mead, and it is quite yummy! I called her up, and she sent me a box of supplies right away!! Yesterday it was time to start the second step. The racking process. 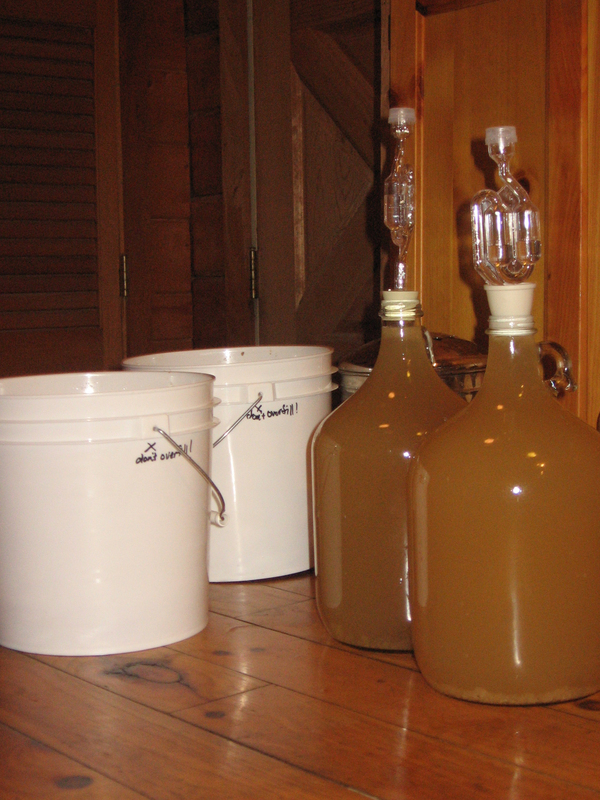 It is my understanding that this process is to rid the mead of sediments. It is done initially to get rid of the fruits, etc., and can be done again at a later time to remove more sediments. Step one was of course again to sterilize everything! I washed my plastic tubing, my airlocks, a big spoon for scooping out the fruit, and of course, two new glass gallon jugs. Then it was time to open the fermenting buckets. The smell was sharp and a little yeasty, but not unpleasant. I carefully scooped out all the fruit, which had sparkly consistency, almost carbonated. There were a few quite rotten looking pieces, but mostly they looked okay. Now the mead is safely in glass fermenting jars, with airlocks in place. Back to the basement for another 6 (or 8, or 10?) months until the mead is ready to be bottled! 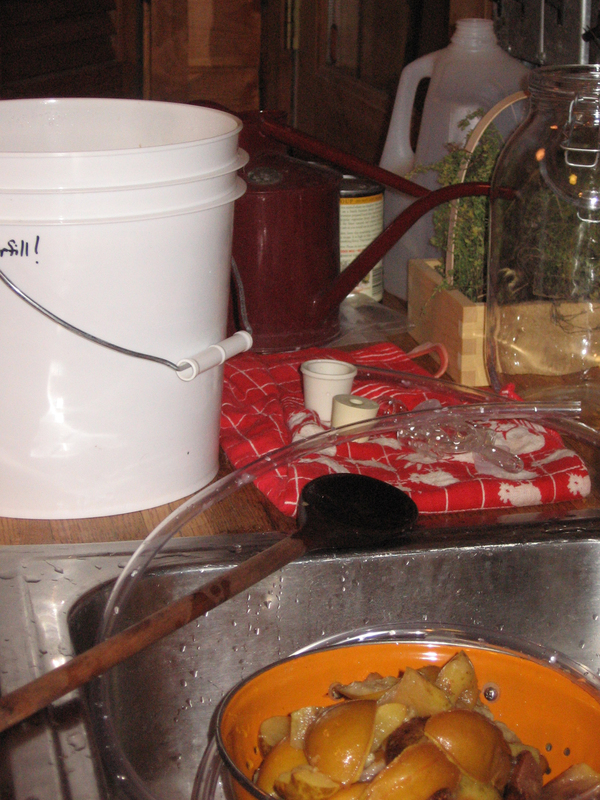 I tasted the mead as I was siphoning, and it was actually rather pleasant. And the rich honey color of the liquid is lovely to look at!